Gilbert Laurie noticed his headache when he was watching television. It came and went, growing in strength over the next few days but easing under the shower. His GP told Mr Laurie to visit the emergency department, and those doctors told him he was dehydrated. So he drank more water, but the headache got worse and now the shower was agony. By the time he arrived at St Vincent’s Hospital by ambulance, he was days away from death. However, instead of dying, Mr Laurie became a test case in the use of an advanced magnetic resonance imaging [MRI] technique, which revealed information that was previously unknowable without a biopsy. 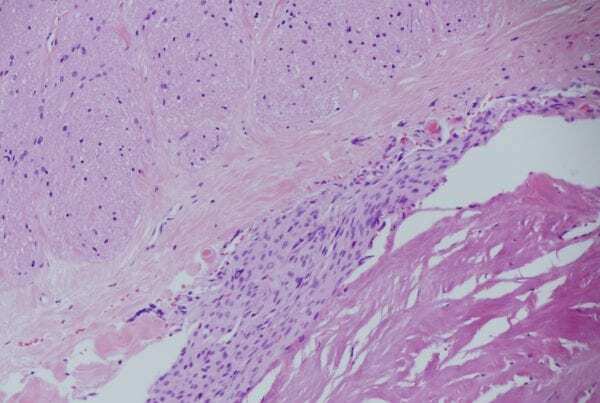 It is generally impossible for neurosurgeons to know whether patients presenting with lesions in the brain are suffering from a malignant tumour (very bad news), a lymphoma (better news, but not great) or a metastatic tumour (terrible). 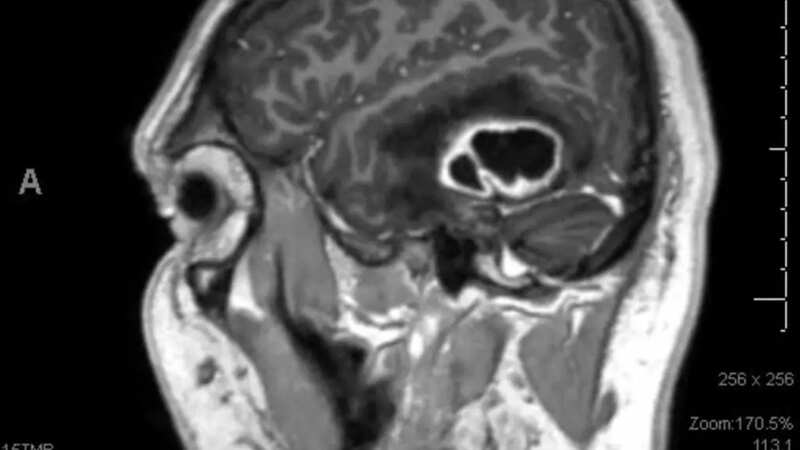 However, the new MRI scanning technique allows neurosurgeons to differentiate between the blood vessels that will be present in different types of tumours. The MRI signal is measured relative to normal brain tissue and it drops out and then recovers in seconds. The percentage of signal recovery indicates what type of lesion is present: 60 indicates a malignant tumour, 90 indicates a lymphoma and 30 indicates a metastatic tumour. Mr Laurie’s results indicated he was hosting an abscess the size of an apple. 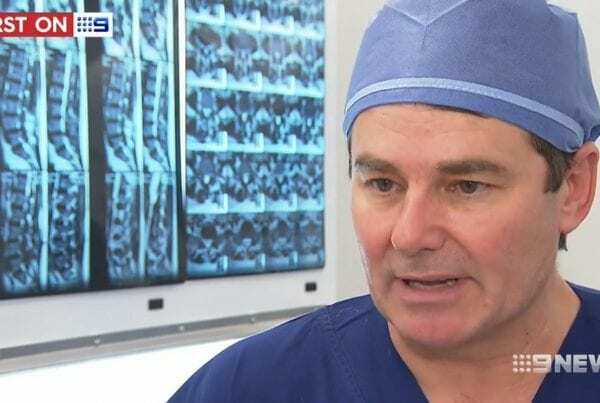 “It would have been fatal within three or four days if we hadn’t got it out,” neurosurgeon Timothy Steel said. The technology was still experimental in August when Mr Laurie arrived, so the team followed up scans with standard treatment and opened his head to remove the abscess. 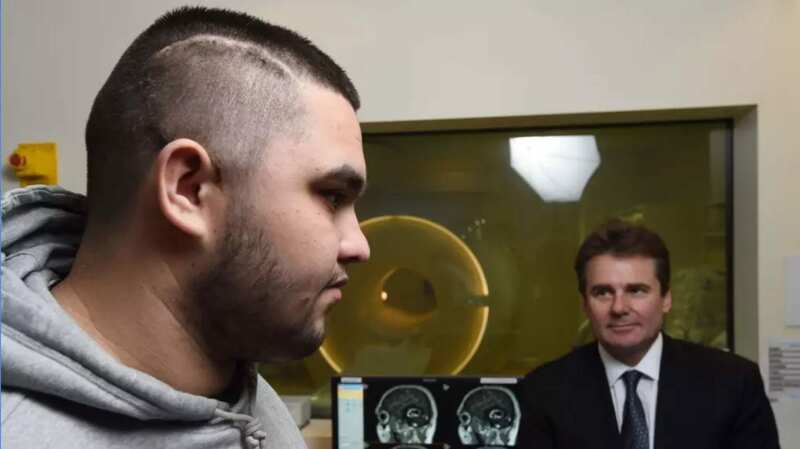 However, the technique has been used on almost every patient who has presented at St Vincent’s in the past two years, and once it is consolidated, patients such as Mr Laurie will be able to avoid major surgery and have their abscesses drained via a needle into the skull. “The holy grail for management for intracranial lesions is to know exactly what it is before we start,” Dr Steel said. 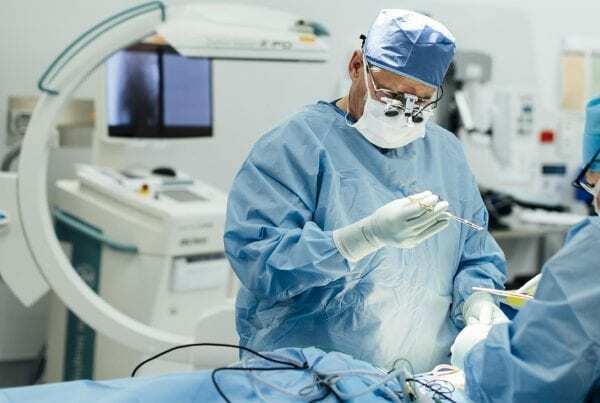 “If it’s something like lymphoma, then treatment may be purely radiotherapy, and if it’s a metastatic tumour like his, then it’s something else. Our results showed significant differences between malignant tumours, lymphomas and metastatic tumours. The research, conducted with UNSW medical student Ananya Chakravorty, was awarded the prize for best poster at the Neurological Society of Australia’s annual scientific meeting in Auckland. Originally published on the Sydney Morning Herald by Harriet Alexander, on the 4th of January 2016.